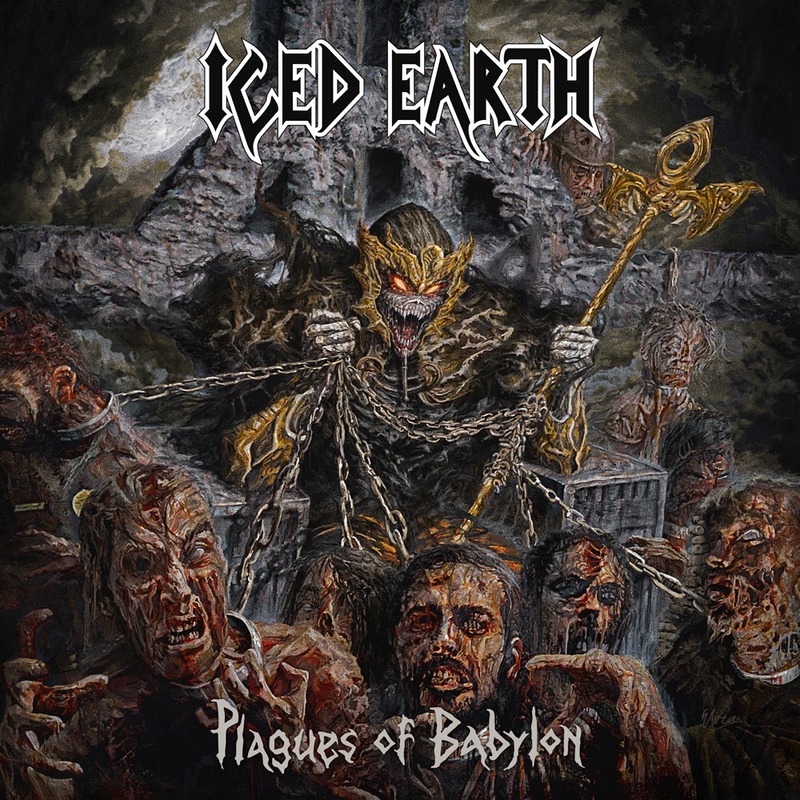 These days, I approach a new Iced Earth record with both high hopes and a little trepidation. Once upon a time, Iced Earth was pretty close to what I’d consider the perfect band. They struck that sweet spot for me in their blend of heaviness, speed and melody. Guitarist and founder Jon Schaffer could play with blazing speed and crunch, but vocalist Matt Barlow — and later, Tim Owens — were actually great singers that balanced that out and gave things a bit of a darker vibe. Then something happened. After two albums with Owens, who many fans for some reason never embraced, he left the band in 2007 in favor of Barlow, who had come back to music after a stint in law enforcement inspired by Sept. 11. It doesn’t matter how many records I listen to in a year, I always seem to miss a few good ones. Live Fast, Die Loud is one of those that I didn’t get to in 2013. 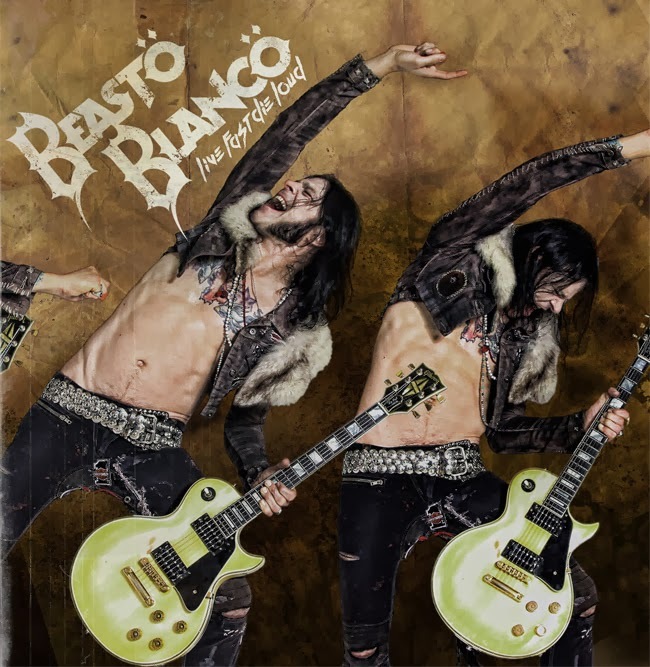 Beasto Blanco was formed by long-time Alice Cooper bassist Chuck Garric and also includes Cooper bandmates Chris Latham and Glen Sobel and Alice’s daughter Calico Cooper. So there will be no surprise when you hear the shock-rock master’s influence on this record. What may be a little more surprising is that Live Fast, Die Loud is a better White Zombie record than Rob Zombie himself has churned out in quite a while. Hank Williams III, "Cocaine Blues." From the album Risin' Outlaw (1999). There's probably not a more appropriate Johnny Cash tune for III to cover. It's a song that already had much of the bad attitude that III brings to it. I'll choose Cash's version every time (as III himself probably would, too), but this one's very faithful and pretty solid. Jackyl, "Let's Don't Go There." From the album Cut the Crap (1997). Arguably the first ballad from a band that had previously prided itself on not doing ballads (I'm going to agree with their statement that "Secret of the Bottle" was an attempt at a country song rather than a ballad). Yeah, they rock it up on the chorus, but it's still a ballad. Not a bad song, but not one of the best from the record. Anthrax, "Efilnikufesin (N.F.L.)." From the album Among the Living (1987). Among the Living is easily the best album of the Joey Belladonna lineup, and arguably, the band's career. When I was a bit younger, "Efilnikufesin" was one of my favorite tunes, mainly because of the title. (I wrote a short story for class in high school that included a wizard named "Efilnikufesin." Wonder if the teacher ever figured it out.) I still like it, but it's not one of my favorites on the record anymore. 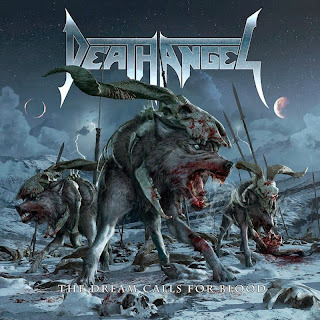 I’ll make a confession at the top of this review that will invalidate my opinion in the eyes of many Nightwish fans, but I didn’t really like the band with Tarja Turunen. I didn’t dislike Tarja, and in fact own a couple of Nightwish albums from that era — Once (of course) and Wishmaster — but I just couldn’t go all in for the band with those soprano vocals. Turunen is a fantastic singer, and no one can deny that, but at times I thought those operatic tones were, perhaps, a bit too pretty for a metal band. My opinion of the band started to change a bit when Annette Olzon came aboard. She had a bit more of a rock ‘n’ roll voice that I believed fit the music better and certainly appealed to me more. In fact, the band’s last record Imaginaerum is my favorite and ranked high on my best-of list for 2012. 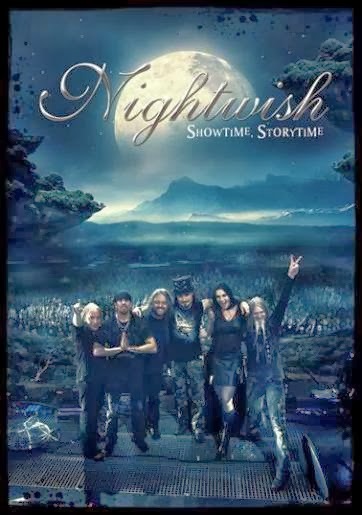 That brings us to the Showtime, Storytime concert film, recorded at the Wacken Open Air Festival last summer, the band’s first official recording with new singer Floor Jansen. And Wow. Just Wow. Woods of Ypres, "I Was Buried in Mount Pleasant Cemetery." From the album Woods IV: The Green Album (2009). I'd not heard of Woods before this record came out, but it made me a fan. It's dark, bleak and beautiful in its own way. Any time my year-end list starts with more than 20 candidates, it's been a pretty metal year for me. That was the case for 2013, and I had a few tough calls on who would make the list, and even tougher calls on what order they'd make the list. It was a year of comebacks, with great records from Suicidal Tendencies, Tom Keifer, Skid Row, Carcass and, of course, Black Sabbath. All made the list in one form or another. It was a year of surprises as a couple of albums that I would have predicted to be neck and neck for my top spot slid down, while a couple of unexpected ones moved up. It was a year of two albums from bands named Queensryche, neither of which, it turns out, were really the best Queensryche album of the year. But more on that a little later. 10. Pamela Moore -- Resurrect Me. I'm a latecomer to this album, and I fully expect it to rise higher in this list. Moore, who performed the part of Sister Mary on Queensryche's classic Operation: Mindcrime record, delivers a fantastic album in the vein of that release. So far, I haven't found a song on the record that I dislike. 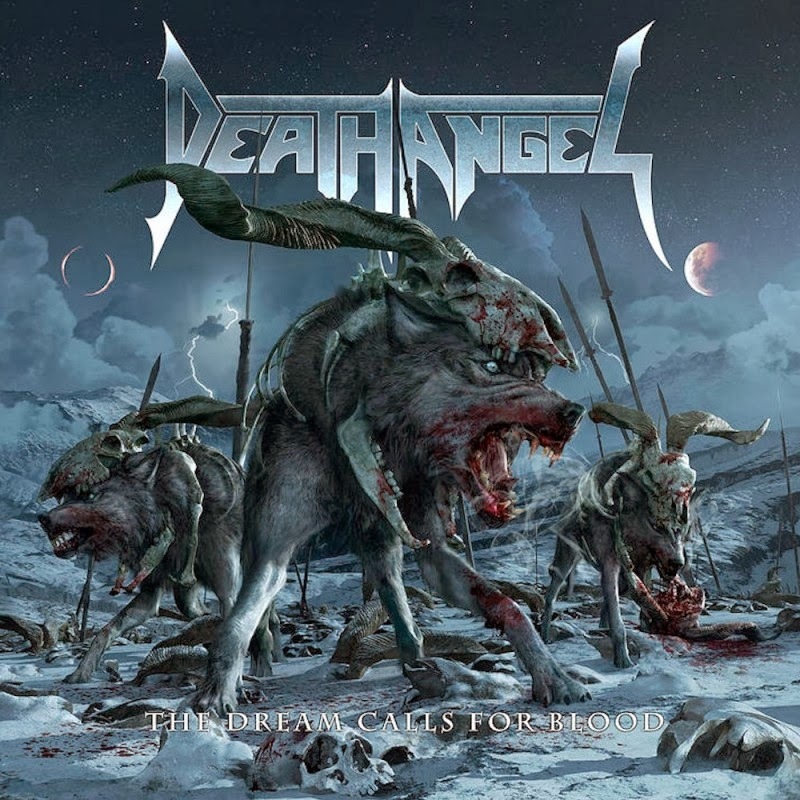 I'll start my look at the best hard rock and metal albums of the year with a few that didn't quite make the cut, some random thoughts, and a look ahead at 2014. Philip H. Anselmo and the Illegals -- Walk Through Exits Only. Though this record narrowly missed my top 10, it's certainly the most interesting I heard this year. Dubbed by Anselmo as anti-music, the album is loaded with hooks while, at the same time, being very chaotic and jarring. I certainly don’t claim to be any sort of expert on country music. I’m a metal kid from the sticks who was reintroduced to my country roots through Johnny Cash’s resurgence in the early 1990s. 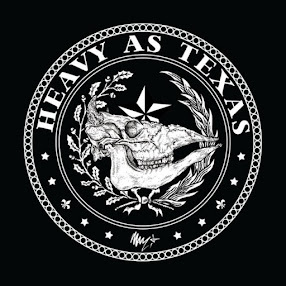 From the American Recordings album, I struck out exploring more classic country artists — guys like Waylon, Willie, David Allan Coe and others — and I found a certain kinship with the metal music I loved. Not in sound, of course, but in the attitudes and the desire to do things their way. 10. Jonathan Parker and the Bel-Airs -- They'll Never Play My Songs in Nashville: Here’s my 1970s throwback listen of the year. Heavily influenced by Waylon Jennings and with a country drawl that reminds me a lot of Jamey Johnson, Jonathan Parker can deliver a rowdy hell-raising tune with the best of them, but can also capture the emotion of an old-fashioned crying-in-your-beer tune about love and loss.